Customer Picture Number 482 Selected. Cool Car decals applied. 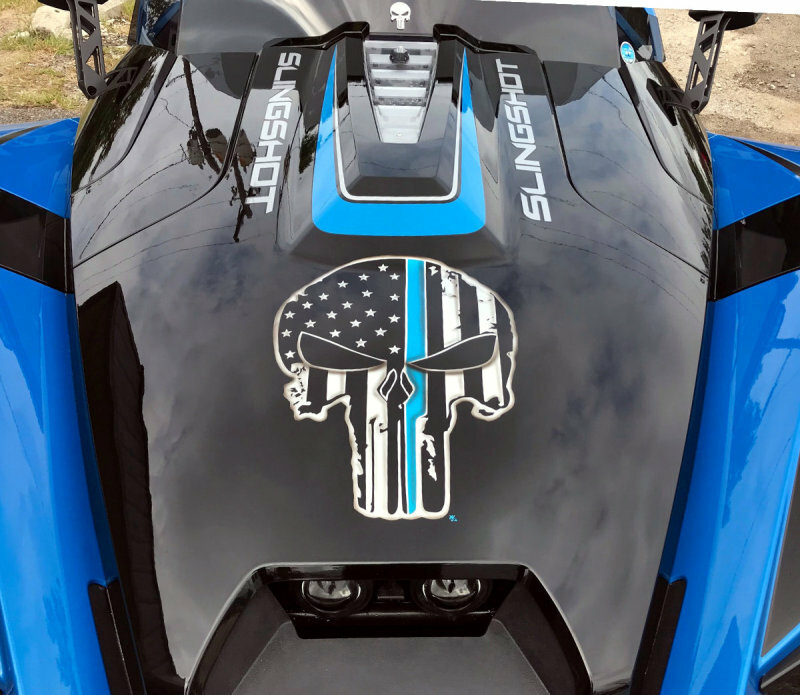 A nice shot of Ed's custom punisher American flag blue lives matter decal, applied to his one of a kind Slingshot motorcycle! Nice!